More than just an experiment? Microsoft has developed a new programming language reportedly called "M#" alongside its experimental Midori OS. And Midori may have moved out of the incubation phase and into the big leagues, as ZDNET reports that the project has been transferred to Microsoft's Unified Operating System group for continued development. Microsoft was developing the non-Windows Midori OS at least as far back as 2008, when we thought it might have had something to do with a successor to Windows 7. That obviously turned out to not be the case, but between ZDNET's report and a blog post from Midori team member Joe Duffy describing the new language (which itself is an extension to C#), some interesting new details have come to light. The new language Duffy described in his blog post strives to strike a balance between performance and safety/productivity. He doesn't mention the term M# ("M sharp"), but ZDNET heard from its sources that that's what he's describing. M# was reportedly developed alongside Midori in order to help build Midori as a lightweight OS free from the constraints of a Windows legacy built over decades. Another alleged former Microsoft employee chimed in on Reddit, explaining that "this new extension to C# grew out of Sing#, the system language of Microsoft Research's Singularity OS." Google Developer Infrastructure team member Aleks Bromfield, who worked formerly on Microsoft's Midori language team, explained to ZDNET, "The idea is that M# should be the lowest-level language that you'll ever need." "It sits at the very bottom of the stack. But it's also safe and productive enough to be appropriate for writing higher-level systems, like Web services," he said. According to Duffy, it may eventually go open source. Even so, the fate of Midori itself is unclear. It still seems unlikely that Microsoft will ever go commercial with a non-Windows OS, but pieces of it could wind up in future iterations of Windows. ZDNet says that's why the project moved to a new group; so they can figure out which parts are worth keeping around. Meanwhile as this story blew up Duffy amended his initial blog post to thank readers for their enthusiasm, but wishing that the speculation would "die silently." "I do expect to write more in the months ahead, but all in the spirit of opening up collaboration with the community, not because of any 'deeper meaning' or 'clues' that something might be afoot. Too much speculation!" he wrote in an update. 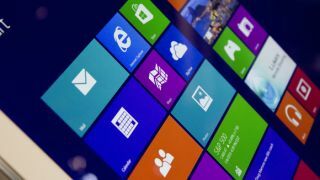 Windows 8 one year on: where did it go wrong?